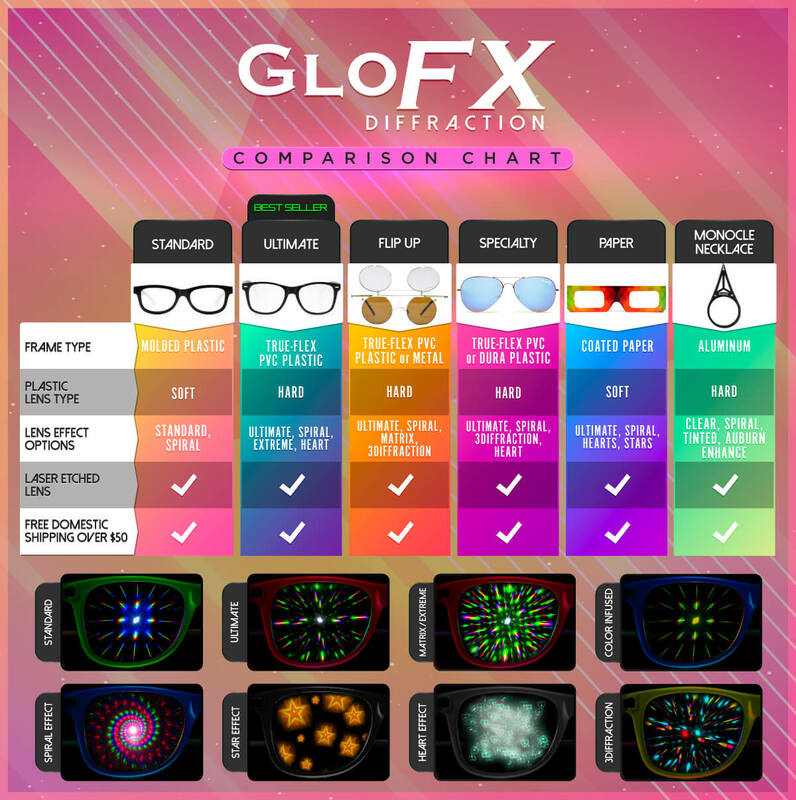 Our Starburst Diffraction glasses feature a completely unique and stunning design that is only offered from GloFX! If you’re looking for a pair of glasses that will set you apart from the crowd, then look no further because GloFX has you covered. With our stainless steel hinges and True-Flex PVC frame, your new glasses are sure to stand the test of time. Don’t stare for too long because these glasses might not be around long, be sure to grab a pair today!